Title chasers, Enugu Rangers FC climbed to the top of the Nigeria Professional Football League with 54 points after thrashing Rivers United 4-0 on Sunday at the Nnamdi Azikiwe Stadium. Before this encounter, the Flying Antelopes were second with 51 points, the same with Wikki Tourist and wasted no time as Tope Olusesi netted the opening goal in the 40th minute before he turned provider to Godwin Aguda, who double the scoreline in the 47th minute. 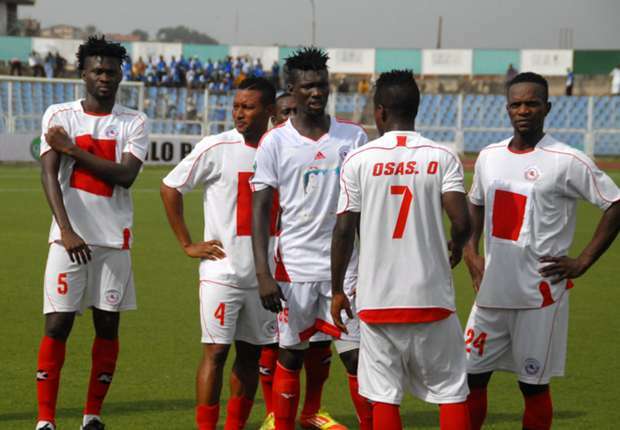 Despite Enugu Rangers been reduced to 10-man after Olusesi was shown the red card, further goals from Christian Madu and Obinna Nwobodo completed a total rout of Rivers United to put their title dream on the right track. In other matches, Kano Pillars mauled Sunshine Stars 2-0 at the Sani Abacha Stadium, to move ninth on the league table while Warri Wolves managed a narrow 1-0 win over Nasarawa United. Also, Akwa United defeated IfeanyiUbah 1-0; Plateau United were 1-0 better than Shooting Stars while Ikorodu United shocked Heartland 1-0 at home.